Reality television fans are tuning in to Waka & Tammy Tie the Knot each week on WeTV for a behind-the-scenes look at how the rapper and his wife prepared for their vow renewing ceremony. The pair have been making the round on reality TV, moving from Growing Up Hip Hop Atlanta to Marriage Boot Camp Hip Hop Edition to now having their own series. They've been making the media rounds to help promote the "I do" special, and recently they caught up with Ebony magazine to discuss marriage, their shows, and why they decided to get counseling, especially in such a way that could be criticized by the public. A noteworthy part of their interview was when they mentioned that the first time they got married, the couple opted not to have a ceremony that included all of their friends and family. This is why for the renewing of their vows they wanted to make sure their loved ones were in attendance. 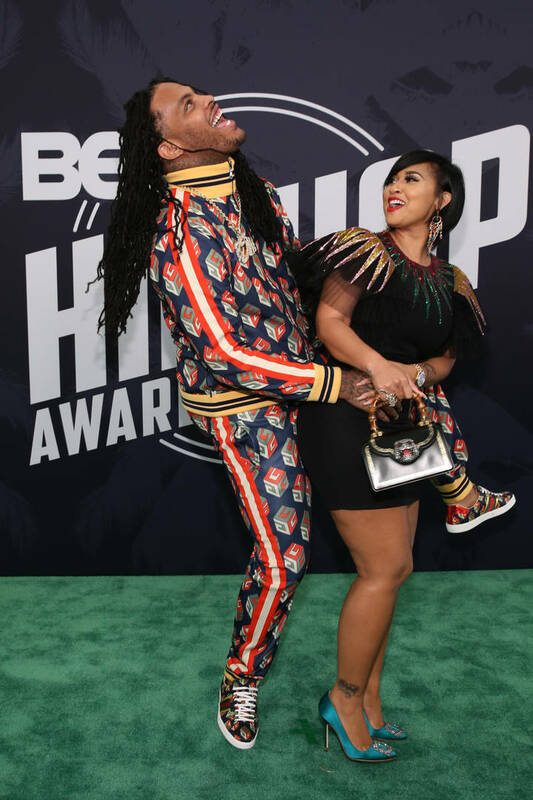 Waka stated that when he married Tammy five years ago, he wasn't interested in the opinions of others as it pertained to his relationship. One thing that peeved him was were those people that he called friends who told him to make sure he got a pre-nuptial agreement before saying "I do." "I just didn't want to share nobody's opinion," Waka said. "The person I truly love. The person I truly want to be with. I don't want nobody trying to talk me out of it. 'Get a prenup, get this, and all this.' I'm like, why are you thinking about my money and not my well-being? I notice everybody ask me, 'You got a prenup?' I never talk to them again. And now that I say this, now y'all realize why I [don't talk to you]." ScHoolboy Q On Not Giving Tribute To Nipsey Hussle: "I Grieve In Real Life, Not Here"